The staff was really friendly and helpful and the rooms were spotless. Would love to go back and stay longer. We had a perfect weekend at Verina. It was slightly off season so the hotel and the entire area was blissfully calm and ideal for unwinding. The room was comfortable and well-designed, the gardens beautiful and the view from the balcony over the olive groves very soothing. Our breakfast by the pool was filling and delicious. But the best part of our stay was the staff. They were extremely accommodating and genuinely polite and sweet. We were traveling with a baby and they provided us with a cot and milk and went out of their way several times to help us feel comfortable. We will definitely visit again. It's hip, peaceful, beautifully decorated... And the staff are delightfully warm and friendly! When you enter the place it is like entering an oasis of peace. Our room was so well decorated and spacious. The pool area is heavenly. Breakfast is very good and you have the choice between a great variety of eggs, pancakes,... Everyone who works there are so warm and helpful. They really try to make your stay as pleasant as possible. 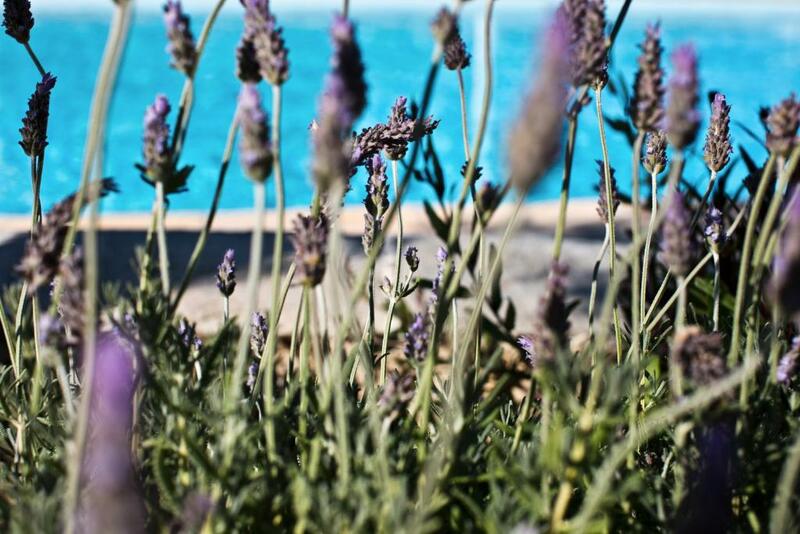 The aura, the environment, cleanliness, the staff (especially Isidora and Nikoletta), proximity from the beach, served breakfast with amazing pancakes, homemade marmelade, fresh bread and scrambled eggs and the pool. The interior of the room is inspired by Greek nature that I also liked. Friendly stuff, good breakfast, fresh orange juice, excellent margaritas, green area kept very tidy with many flowers and plants around the apartment. Amazing hospitality,people are very friendly, helpful and very eager to give you all the tips about the area. Excellent location,few steps from the beach,warm and cozy accommodation with unique details. Very good breakfast and stylish tableware . We highly recommend Verina Suites for the total quality !! We absolutely will come back again ! Lock in a great price for Verina Suites – rated 9.5 by recent guests! 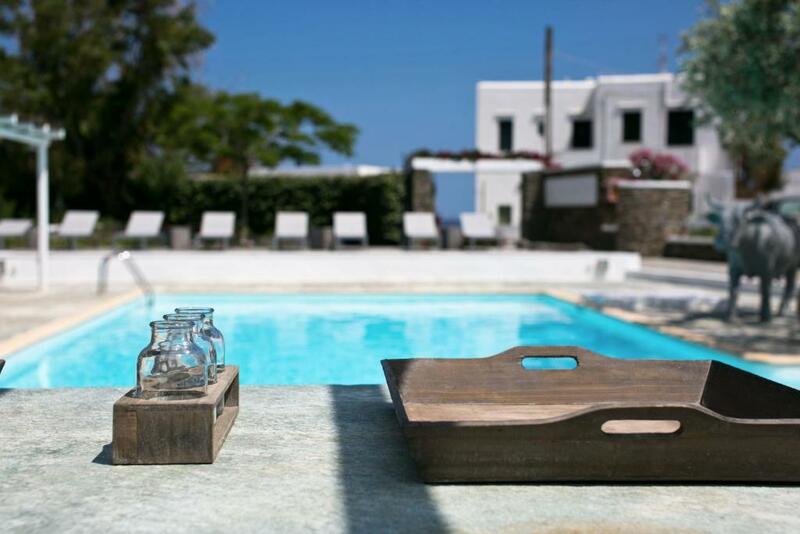 One of our top picks in Platis Gialos.Located in Platis Gialos in Sifnos Island, Verina Suites offers an outdoor pool with a sun terrace, and a restaurant. All accommodations types open to a balcony or patio with garden views, while free WiFi is available throughout. All rooms, studios, suites and apartments at Verina will provide you with a satellite, flat-screen TV, air conditioning and a CD player. There is also a refrigerator. Featuring a shower, each private bathroom comes with a hairdryer and bathrobes. Some include a kitchenette. At Verina Suites you will find a terrace, a bar and a snack bar. Other services that can be arranged are yoga classes and boat trips. Free private parking is possible on site. This is our guests' favorite part of Platis Gialos, according to independent reviews. 뀐 Located in the top-rated area in Platis Gialos, this property has an excellent location score of 9.5! When would you like to stay at Verina Suites? This air-conditioned suite includes a satellite, flat-screen TV, fridge and a bathroom with a hairdryer and bathrobes. This air-conditioned apartment includes a satellite, flat-screen TV, kitchenette and a bathroom with a hairdryer and bathrobes. This air-conditioned room includes a satellite, flat-screen TV, fridge and a bathroom with a hairdryer and bathrobes. This air-conditioned studio includes a satellite, flat-screen TV, kitchenette and a bathroom with a hairdryer and bathrobes. 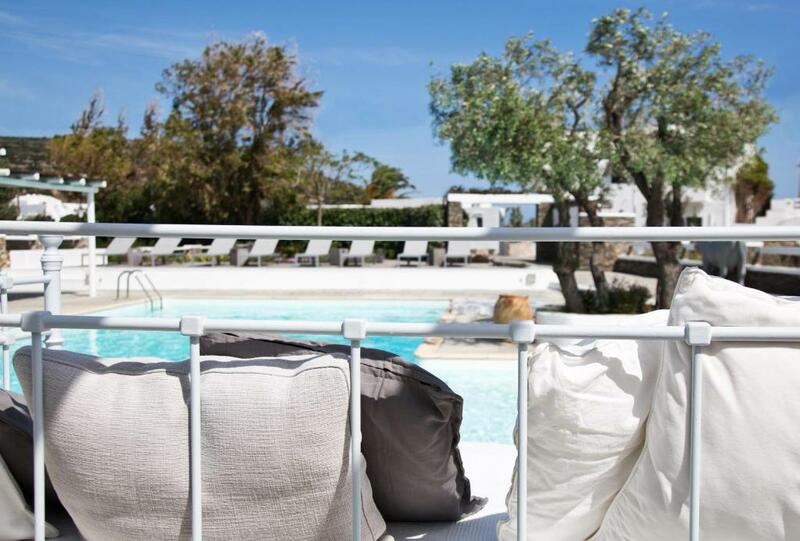 Set amidst ancient olive trees and with the sea just a few steps away, Verina Suites at Platys Gialos is an exclusive boutique greek hotel complex comprised of 4 apartments, 4 double rooms and 2 separate suites. The inspired local architectural style, combined with the highest standards in terms of luxury, design and quality, create an elegant, relaxing, minimalistic ambiance. You will enjoy a memorable breakfast with fresh local delicacies in the outdoor lounge area. The swimming pool and the pool bar offer a space to relax and have a great time, sipping the best cocktails under the sun. 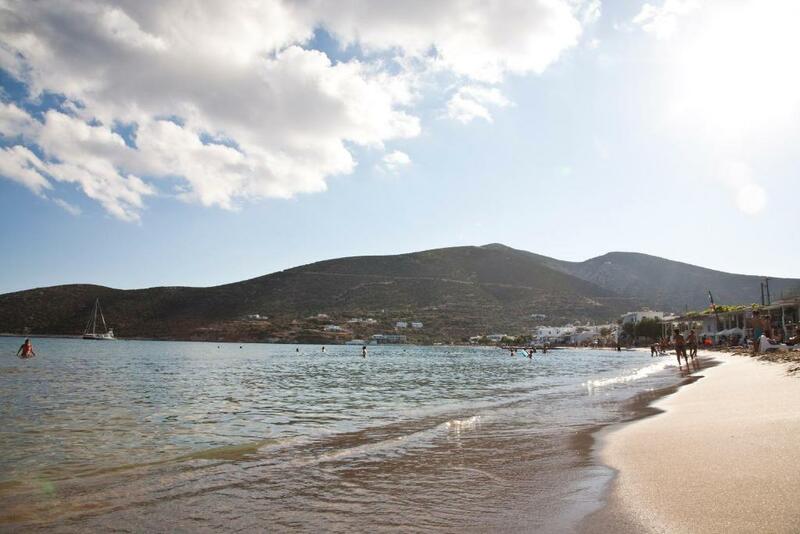 An ideal offer for any holidaymakers – couples, families, friends will enjoy their Sifnos experience to the maximum. Isidora is the leader of the Verina team. She has two big passions – Sifnos and interior design. Having chosen to spend most of her life on the island, Isidora is passionate with Sifnos and adores the simple and elegant aesthetics of the local architecture. She strongly believes that this style is the ultimate luxury. Apart from being the mastermind behind the operations of the Verina Hotels, she takes care of every detail when it comes to decorating and preserving the understated elegance of the hotels. Isidora with her team makes sure you will have plenty of reasons to come back to Sifnos. Verina Suites is located in Platys Gialos, the largest and most cosmopolitan beach of the island. The taverns, coffee shops and beach bars all along the beach provide a pleasant alternative. House Rules Verina Suites takes special requests – add in the next step! Verina Suites accepts these cards and reserves the right to temporarily hold an amount prior to arrival. I didn't like to leave so quickly. We only stay there for two nights. Too many bees / wasps at breakfast table. Breakfast could have been more extensive. The staff are just incredibly warm, the property is intimate and you feel like you have your own private villa. Nikoleta and her staff are an absolute dream they makes you feel right at home. No request is too big or too small. What a fantastic experience! Lots of wasps around breakfast. Quite isolating without your own transport, leads to expense of transfers to get to and from port. Elegant and unfussy style, lovely pool and breakfast, quiet and relaxed. Good local beach and great local restaurants.